Are you really an Engager? If I asked your clients or followers – would they say are a Giver, Taker or an actually Engager? So when trying to educate yourself – do you use Social Media? One of the key things about establishing yourself or your company via any of the Social Media platforms, is to create “Engagement”. This interaction called “Engagement” is a two-way thing, however, within the Social Media environment it can be one-sided, none more so than when people seem to reach the top and become “Influencer’s” or “Expert’s”!! I thought I may just explain about “Engagement” and how it can (or should I say) work. When “Engagement” takes place, it is because two people interact between each other. The interaction is where you make exchanges and communicate, thus “Engaging” in discussion on a variety of topics. The “Engagement” process is directly between two people directly thus creating a partnership…. – When you are small (ie you have ten’s or hundred’s of followers and you follow them back (ie matching one to one of followers to following), you talk and exchange information regularly. You may not do it on every point, but if you are on-line ( or if using lists* ) then you interact with these people in real-time based on the messages or status updates you see. This is just like “Engagement” and is at the top – so you could first layer interaction. You may even get some comments from the connections of your first layer – thus these are your second and third layers. Thus, the more and more interaction, the better you can gain rankings through platforms like Klout** and Kred** to increase your scores. Most people with good interaction always levitate between 45 and 60 using Klout** scoring. – If you look at the larger people with the Social Media industry, (i.e people with thousands, tens of thousands or hundreds of thousands of followers), have you noticed how many they follow back? Sometimes it is less than 2,000 but most of the time 1,000. Or in some cases, some of these “Influencer’s” or “Expert’s” actually do follow back one to one. 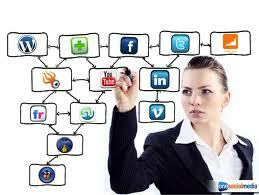 Now the way most of these people engage, is by sharing information with you which you then share and then your connections share too. Thus the first, second and sometimes third layers share this information which is creating their “Engagement”. Now, the interaction of the lower layers circulating and sharing the information is creating the “Engagement”, which leads to creating positive influencing scores on Klout** or Kred**. Furthermore, whilst you maybe following them (and they might be following you back), have you actually noticed if they ever re-tweet or comment on your posts? Yes, it could be said they have many followers and can’t reply to every message, but how many do they actually reply to? Take a look, look at some of the people you follow and their timeline, how many of their messages are Re-Tweets or replies to people? Is this really “Engagement” if they are not interacting? Isn’t this one-sided? So what should be thinking or doing? The process of “Engagement” is the main key to getting everything set in place is to help you and your business grow. The main key is “Engagement” – you must engage to develop and keep being fresh. Too many people just constantly post, re-post and never engage – just think of doing that in your business, what would happen if you just communicated one way and never listened to your clients or prospective clients? You wouldn’t have a business at all – do you know of or can name a business with no interaction that is in business? Whilst following influential people on Twitter or liking and following their pages on Facebook, may provide nuggets of information which are educational and help you to learn things, is this the right way forward? Did you ever learn anything at school, college or university by being just spoken too or receiving dictation without being able to ask questions back? No you didn’t – so the real position is to make sure you surround yourself with people you can communicate with on a regular basis – after-all communication is a two-way street……does this remind you of something? Comments, try to reply to the comments on the post that people put there. As after-all they could be your next paying client or through the exchange of comments, you may learn something which can help you grow and succeed more. All these points I have mentioned are all about communicating and thus you are creating “Engagement” with your audience which is your first layer and become to form part of your Circle of Influence. So, if you are wanting to expand your Circle of Influence and develop further interaction with your audience, then start the interaction process and communicate. You will have noticed (and probably said, not that word again) but look at the title – Are you a taker? Do you ever share? Are you Engaging? – this whole post has been about “Engagement” which is the key buzz word and what you should be doing during. Therefore, make sure you start 2014 by……………..
What are you doing over Christmas and New Year? A few days ago over a dinner I attended, we were talking about Christmas and New Year and what we are all doing, when the conversation of an email someone had received came up and which we all thought was quite a good idea…. The email was a bit like a school timetable detailing the fortnight starting on Monday 23rd of December 2012 broken down into two-hour blocks from 8.00am until 6.00pm Monday to Saturday with half days until 2.00pm on Christmas and New Year’s Eve’s plus Christmas, Boxing and New Year’s Days’ off, oh and the Sunday’s off too. The rest of the blocks showed some blocks taken and the others available if located with 15 minutes drive of X postcode. All two-hour blocks where being offered at a 25% discount if booked before 20th December 2013 but a 25% surcharged if booked after this date. After discussing this for a while, we all thought what a smart idea this person had come up – offering people the opportunity to get out of doing some jobs that they no doubt had promised to do over the Christmas and New Year break but didn’t really want too. By offering to make himself available at a certain time over the festive period, people can get things done they don’t want to do. As some suggested, was the email the only thing he did? Well to get the email, he must have had their details, so the emails he didn’t have, did he put flyers through their doors? Another twist, what if he had no work on at all but filled in blocks on the emails or flyers based on certain areas, so people booked the empty slots based on the email/flyer they got, whilst the booked slots have been offered as available to people as free in other areas? We then all agreed that we could be right or we could be wrong but either way, what a good example of outside of the box thinking for marketing your business and take advantage of the one time of the year this was, where people don’t want to do jobs that need doing. The idea of offering a fixed rate for two-hour slots over the Festive period for these jobs is a smart piece of marketing and one that could be replicated in so many ways…. So, think about your business, what can you do in an hour or two-hour slot that you could offer to existing clients over the Christmas period at a special rate? Can these offers be provided at a different price for new clients too? Sometimes just a simple idea can reap benefits by taking advantage of a situation where most people decide to close down and take a break.